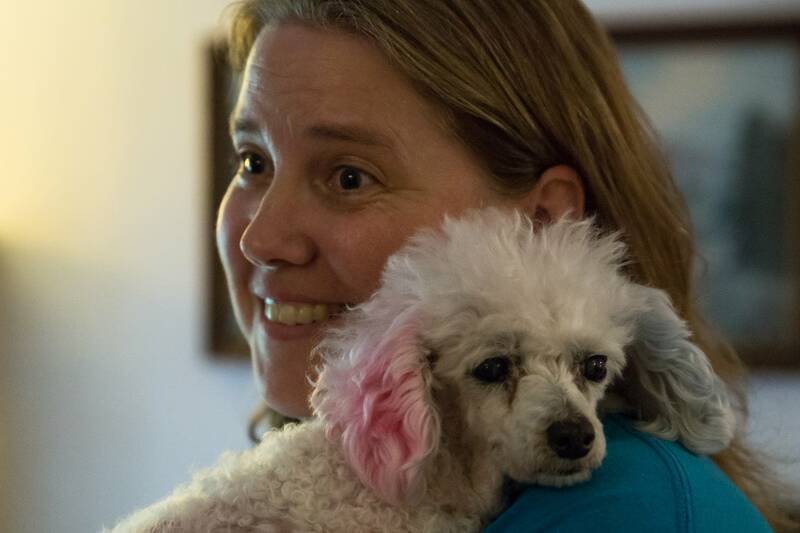 Laddie, an elderly toy poodle, lost a leg in a car accident. Her kidneys are failing. Her prior owner had loved her but was forced to give Laddie up when she entered a nursing home. No one knows how long Laddie has left to live. Eileen and Eric Hill don't care. They raised their hands almost immediately to foster the dying dog when Laddie arrived from Kentucky in April. The Hills are part of an informal but quietly dedicated network of pet hospice volunteers across the Twin Cities. Working through local animal rescues, they provide terminally ill and elderly animals final comfort in their final days, weeks or months. It can be hard, emotionally draining work. Many of these vulnerable pets need regular medication and veterinary visits, and they may die soon after the foster families embrace them. It doesn't matter. "We don't choose to worry about we're not going to have her anymore," Eileen Hill said of Laddie. "We just choose to give her the best life possible." 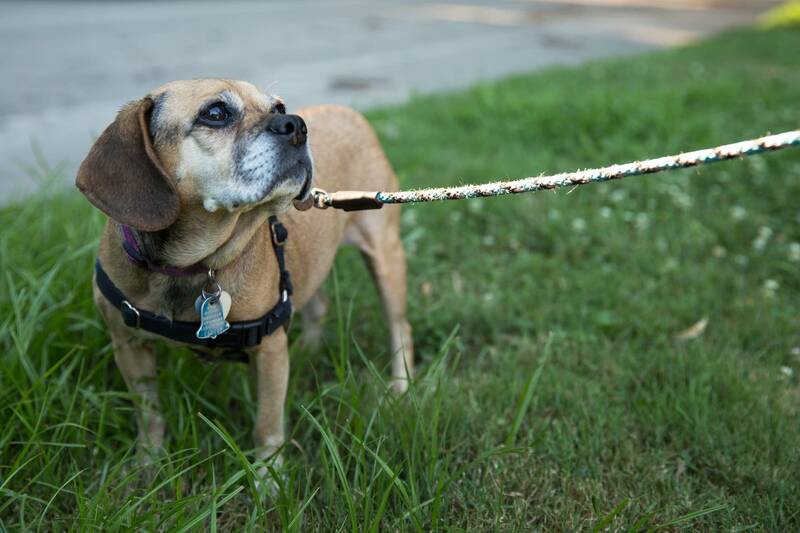 It's no secret that sick or elderly animals are at a disadvantage when it comes to adoption. Few people may be willing to take up the emotional and financial challenges a dying or disabled pet can bring. The hospice network eases some of that burden covering vet and food bills so foster families can focus on care. 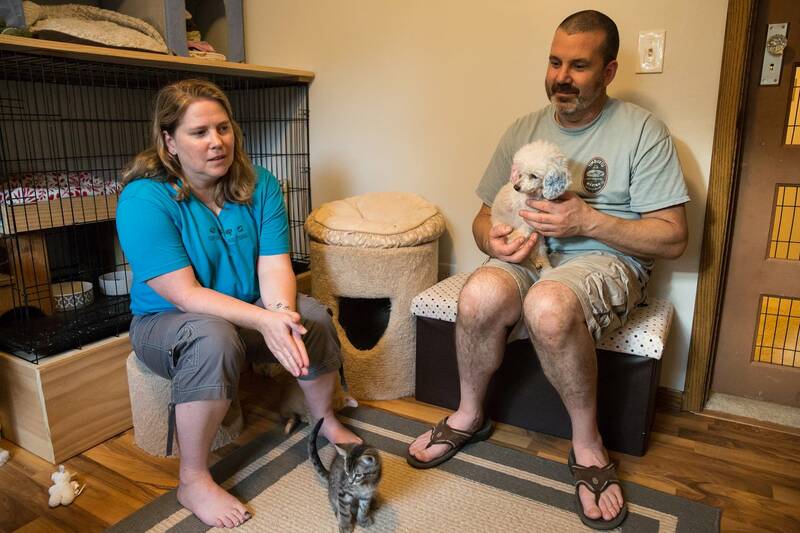 "We feel like their life is worth it," said Maia Rumpho, the founder of Pet Project Rescue. 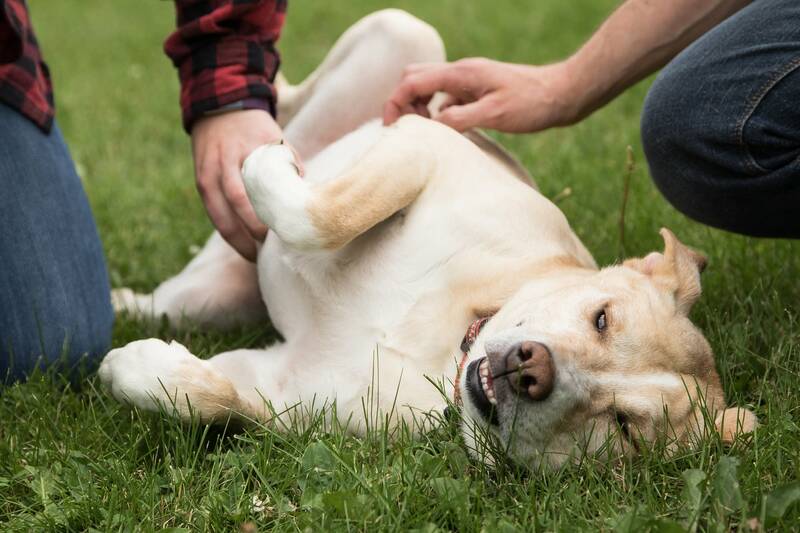 Since 2011, it's run the Lukas Project hospice program that's welcomed some 13 animals. It's named after a German shepherd with Crohn's disease who was rescued in 2010 from a local shelter and died the following year. "We need to be there and be that voice for the voiceless, for the animals that are overlooked and might not be that bright, shiny cute puppy," said Rumpho. 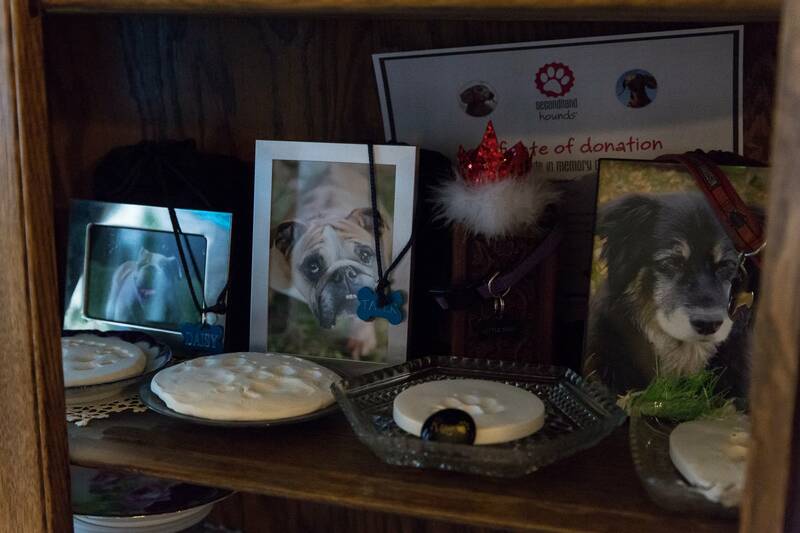 Secondhand Hounds launched its own hospice program, Forever Loved, about three years ago, after getting more and more requests to take in older, abused animals and ailing cats and dogs. Its first major hospice case was a 17-year-old miniature pinscher named Elvyn whose litany of health problems included a missing a lower jaw and eye and ear issues. "When we got him, we thought he'd survive for a week," said Secondhand Hounds founder Rachel Mairose. Instead, "he lived over a year with his foster mom, going on these incredible adventures and having this really rich life. The more love he got, the healthier he became." Animal advocates say that speaks volumes about what love and hope can do for the hospice cases. The animals prove that they still have life to live and will fight for every single one of those days if given the chance. Mike Liay remembered the first time he met 1 1/2-year-old Archie. It was last September, when he was just a regular foster for Secondhand Hounds. "He comes walking out and he looked just terrible," Liay recalled. "He had a skin condition, plus he was severely underweight and just filthy. He came just kind of loping out of the back room, his head was down." At the time, nobody knew Archie was sick. They just thought his appearance was due to being a stray and living on the streets. But once he went home with Liay, he seemed to blossom. The two quickly bonded and Archie began putting on weight — when all of a sudden he began losing it instead. It turned out that Archie had hepatic microvascular dysplasia, a congenital liver abnormality that affects blood flow in his liver and his digestion. There is no cure. He was given anywhere from six months to six years to live, and moved into the Secondhand Hounds hospice program. After Archie's diagnosis, Liay said the only thing on his mind was: What can I do to take care of him and make him comfortable? "The thought of getting rid of him never occured to me," he said. Archie looks like any other happy, healthy dog, albeit one who is still learning how to be a dog. 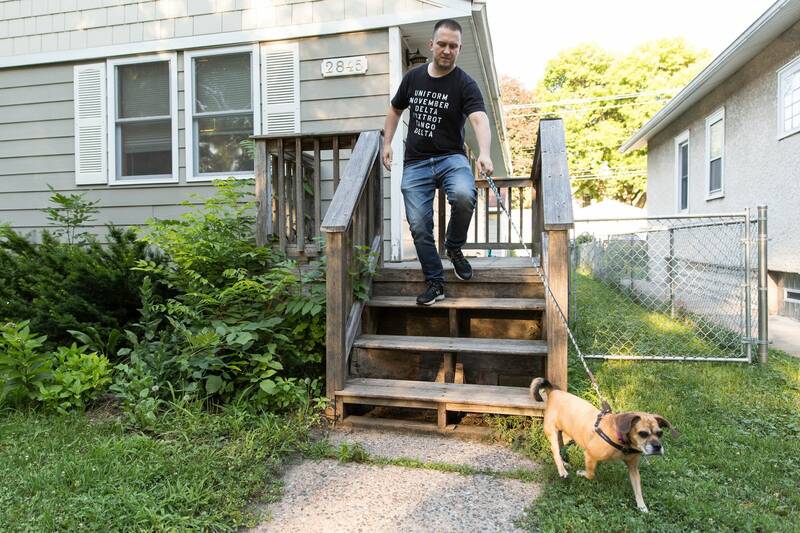 He recently learned that he could dig, enjoys hanging out in his northeast Minneapolis yard, chasing rabbits and birds — and the occasional wild turkey — and going for walks. "Outside of that little bit where I give him medicine twice a day, he's just a normal dog," Liay said. 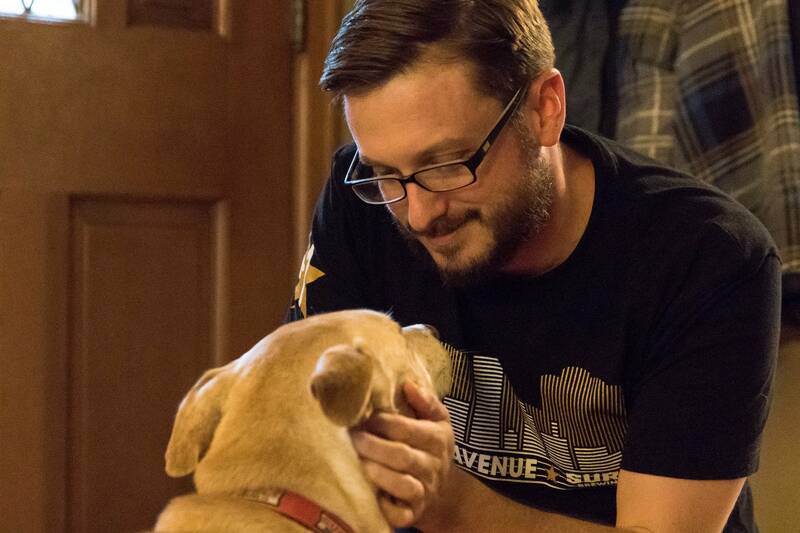 "Which is just another reason you want to give dogs like this a chance." Some dogs thrive so much in their hospice fosters homes that the incredible happens — they move out of hospice care. Marlon Masanz thought he and his wife Marie Chaiart would have Holly for two months, tops. 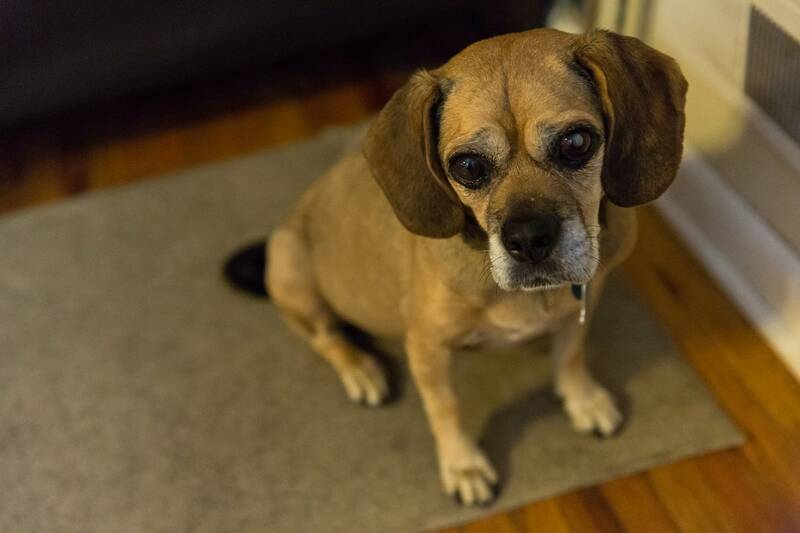 The 8-year-old puggle came into the Pet Project Rescue with untreated diabetes, pancreatic failure and blindness in both eyes due to cataracts. Then mammary cancer was found. She was hospitalized for three days, and even the veterinarians working with her thought she'd only live another few days. But Holly made it through the weekend. And then through the next week. And the next. That was 2 1/2 years ago. After Holly went into hospice with Masanz and Chaiart, she began to stabilize and heal. Her pancreas recovered, and one of her cataracts dissolved so she was able to partially see. And she wasn't so lethargic anymore. 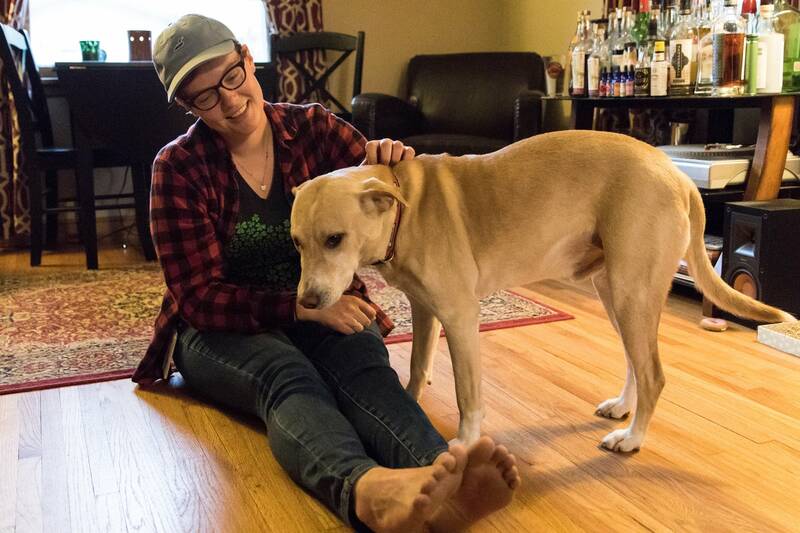 In January, Rumpho, Pet Project Rescue's founder, heard about a double mastectomy that had been performed on another dog, and wondered if that was an option for Holly. It was, because her cancer hadn't spread and she was in good health otherwise. 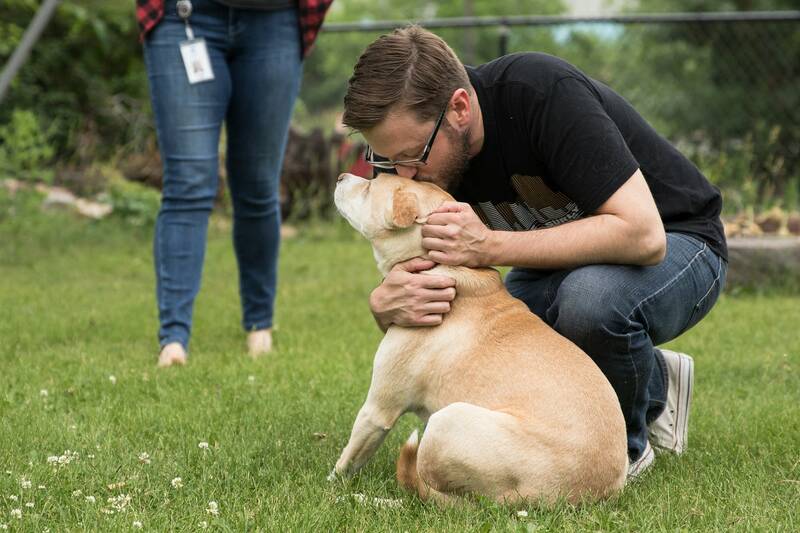 While hospice programs aren't in the business of trying to cure animals — they manage the illness and try to make pets as comfortable as possible — Rumpho said they felt the surgery was an opportunity for Holly to live a cancer-free life. Now that she had stabilized, it's believed that she could live another six, seven, eight years or more. Her first surgery took place in April. Her second in June. And now? Holly is cancer-free and officially out of the Lukas Project hospice program. And after all that time with Holly, Masanz and Chaiart decided she wasn't going anywhere. "She's part of our pack now," Masanz said. "I couldn't not have Holly. I call her my tan shadow, she follows me around the house. She's my dog. I'm her favorite." 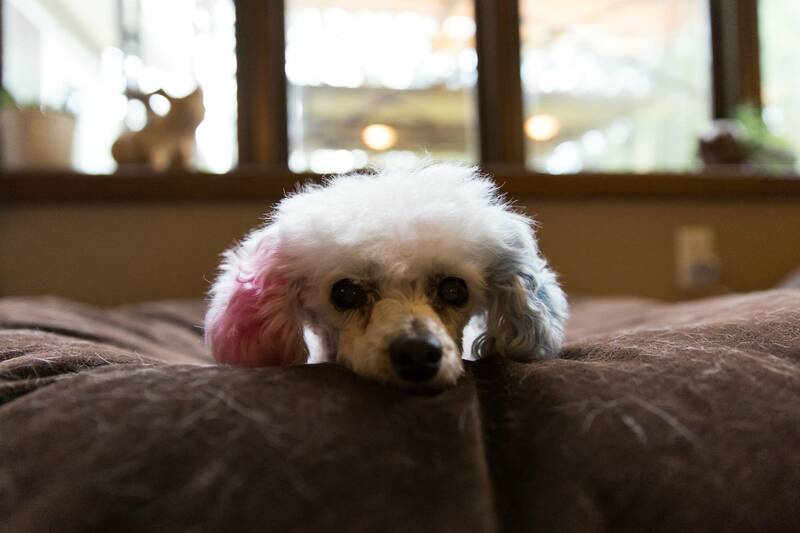 Laddie, the toy poodle, shares the Hills' Lake Elmo home with two other adopted dogs. They also care for kittens, converting a sewing and craft room on the second floor into a cheery cat space. The Hills decided to take in Laddie after their first hospice foster, Little Miss Rue, died in April, after 582 days in their care. They hadn't planned on taking in another case so quickly, but after seeing a plea for Laddie, they found they couldn't say no. "That would have meant that this animal would have been destroyed, if nobody had taken her in," Eric Hill said. Every day, Eileen Hill posts a photo of Laddie on Facebook, marking the milestone — day 86, day 87 — to commemorate her life. There are photos of her lounging at home in her dog siblings' much bigger beds. There are pictures of her enjoying ice cream (she also loves popcorn). And there are photos and videos of her bonding — or not — with some of the Hills' foster kittens. "We celebrate the fact that she's still here and she's still happy," Eileen Hill said. But they know they don't have forever, and they know it won't be easy. But they'll do what they can for Laddie when the time comes. "When they're in pain, we have to help them pass," Eileen Hill said. "Sometimes they do it on their own, sometimes they tell us that it's time, and sometimes we know that we have to give them just a really good day and let them go before that day isn't good anymore." The Lukas Project and Forever Loved are funded by donations, and the rescues spend a minimum of about $1,000 per hospice case. To donate to the Lukas Project, click here. To donate to the Forever Loved program, click here. If you're interested in becoming a hospice foster for Secondhand Hounds, visit their website to fill out an application. Email info@PetProjectRescue.com if you are interested in hospice fostering for the Lukas Project.